"One of the incorporating principles of the Society is to "guide and inform students and to aid colleges and universities in the establishment of curricula for training in the arts and sciences of technical communication." STC provides support to teachers and students of technical communication through programs, annual conferences, and seminars. The Society also provides information about events and courses related to technical communication." Austin T. Brown Technical Communication Award for high school students. In the past, this award was given to winners of a competition for the best technical papers written by local high school students. In recent years, we've been unable to find volunteers to staff the Education Committee. We hope a new volunteer who is interested in managing a student competition will step up in the future. In lieu of this, the chapter began giving awards in 2009 for the best student entry in our Technical Communication Competition. Shirley G. Carter Memorial Award for college students. In the past, this award was given to the top college-level applicants as evaluated by the award's committee members. Unfortunately, in recent years we have been unable to find volunteers to staff the Education Committee to serve as reviewers of the award applications. We hope a new volunteer who is interested in managing a student competition will step up in the future. In lieu of this, the chapter began giving awards in 2009 for the best student entry in our Technical Communication Competition. "The Academic Community supports the professional responsibilities of STC members worldwide who work as educators and researchers in colleges and universities. Those responsibilities involve areas of curriculum design, current practices in technical communication, research and research funding, and academic workplace, recruitment, and professional issues. The Academic Community actively seeks support opportunities in existing initiatives: mentoring, research, conference attendance, publication in education and research in the field of technical communication, especially those in other professional organizations, that involve the productive interaction of practitioners and academics." Frank R. Smith Award: The Frank R. Smith Award for an outstanding journal article in the Society's journal, Technical Communication, recognizes the authors of exceptional articles that appeared in Technical Communication during a calendar year. Since 1966, STC has paid tribute to the authors whose contributions have made Technical Communication one of the most highly respected journals devoted to the arts and sciences of technical communication. Jay R. Gould Award: The Jay R. Gould Award for excellence in teaching technical communication honors the distinguished teaching career of Professor Gould. This award honors true academic mentorship; a record of successful students, defined as those who are involved in STC, and actively working in the profession; involvement in student activities outside of the classroom; innovation and creativity in teaching, and involvement in research that leads to changes in the way technical communication is taught. Ken Rainey Award: The Ken Rainey Award for Excellence and Research honors research that has made positive, significant contributions to technical communication practice and teaching. It rewards a lifetime of quality research in the field, a single high-quality empirical study, or a set of related high-quality studies. STC Academic Database: provides lists of degree programs and certificates and information about conferences and seminars. 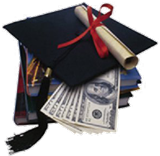 Della A. Whitaker International Scholarship program grants four awards of $1,500 each (two for graduate students and two for undergraduate students) will be granted toward school tuition and expenses. Applicants must have completed at least one year of post-secondary education and must be full-time students. Students should have at least one full year of academic work remaining to complete their degree programs and they should be studying communication of information about technical subjects. STC's honorary society for students of technical communication. Sigma Tau Chi recognizes students enrolled in a baccalaureate or graduate technical communication program who have a cumulative grade point average of 3.5 or above, are exemplary participants in STC, and demonstrate the potential for significant contributions to the profession. 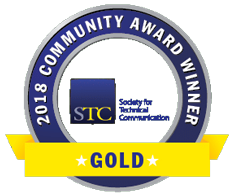 Alpha Sigma recognizes students enrolled in two-year and certificate technical communication programs who have a cumulative grade point average of 3.5 or above, are active participants in STC, and demonstrate the potential to contribute to the profession. STC has student chapters at many colleges and universities. If you are already enrolled in college, you may want to join a student chapter. 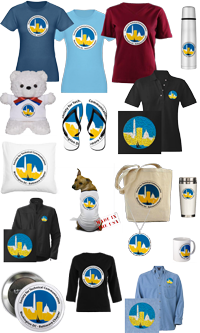 See https://wdcb.stcwdc.org/about-stc/#STUDCHAPS for a list of student chapters near the Washington, DC metropolitan area. In addition to the degree programs listed below, there are short-term Seminars and Workshops available. For list of colleges and universities around the world, see Colleges and Universities. List of colleges and universities in Washington, D.C. The following is a list of known communication educational programs in the Washington, DC metropolitan area. STC does not endorse any particular program. Guide to Online Schools is a directory to use to search for 3943 online degrees from accredited online colleges, universities, and vocational schools. Includes reviews from former students of online schools. Center for Talented Youth, Johns Hopkins University, Baltimore, Maryland. CTYOnline's unique distance education program provides challenging academic courses all year long for eligible gifted students in grades pre-K through 12. Rochester Institute of Technology Online Learning (RIT) offers a sequence of courses as a foundation for entering or advancing in the field of Technical Communication. Courses can be taken for a certificate. Students are expected to have a command of standard written English prose before beginning this concentration. Check course descriptions for prerequisites. See https://distancelearning.rit.edu for the complete list of eight graduate degrees, three graduate certificates, five undergraduate degrees and sixteen undergraduate certificates offered by RIT. who market these same courses to their students. Dr. David McMurrey (Austin Community College) and Dr. Kenneth Rainey (Southern Polytechnic State University) are two of their esteemed faculty members who have strong ties to STC at the local and national level. Discounts from $25 to $100.00 on tuition are available for STC members based on the cost of the course. Contact: Dr. John E. Reid, Jr.